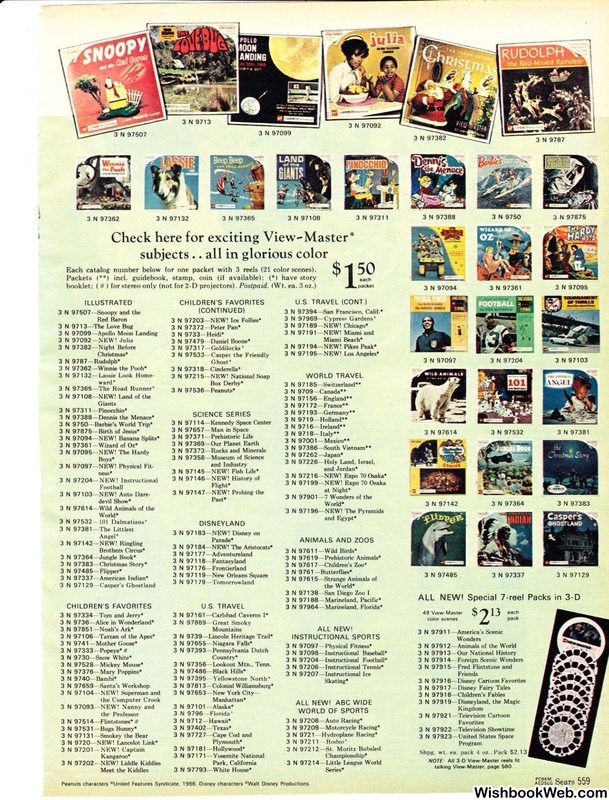 Each catalog number below for one packet with 3 reels (21 color scenes). booklet; ( # )for stereo only (not for 2-D projectors). 3 N 97356- Lookout Mtn.. Tenn. Peanuts characters CILJnited Features Syndicate. 1966. Disney characters ciwalt Disney Productions.